Lately the more we talk about the future kitchen and all the demo that comes along with it (which we will do ourselves... okay, okay I'll be honest. Which Sean will do himself), not to mention the costs that come with it, we are starting to feel a little apprehensive. 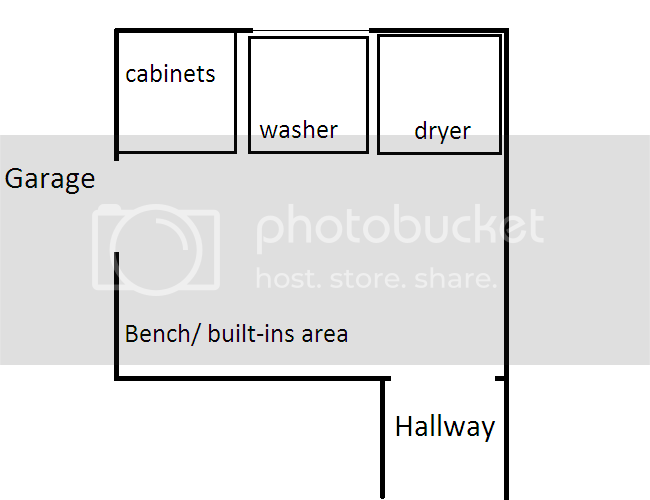 One way to do a mini dry-run is to do the laundry room. To make our vision come to life it will require moving water lines, outlets and light switches, new lighting, floors and cabinets, and knocking out a wall. It sounds like a lot, specially for such a small room, but it is a high traffic room that needs to be functional and work as smoothly as the kitchen should. So we want to do it right. 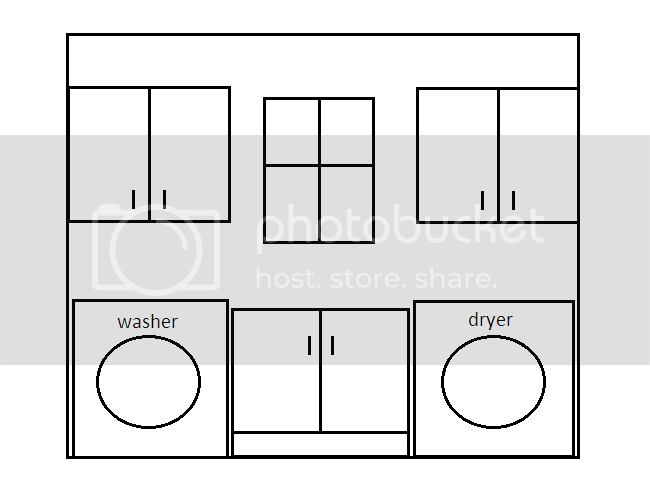 This is the main wall where all the laundry is handled. I HATE the distance between the washer and dryer. I know it is common in homes built in the 80's and 90's but it is just far enough that I have to put it all in a basket to move from the washer to dryer. MAJOR PAIN! 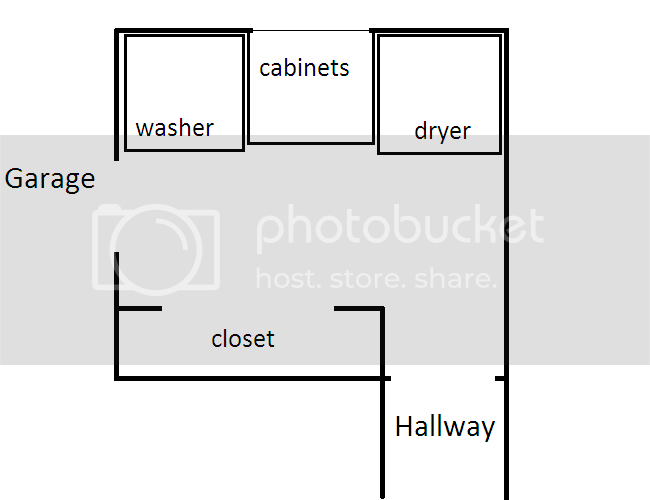 By moving the washer and dryer together not only does it make it faster and easier to do laundry, but I also have the option of a floor to ceiling stack of cabinets once the washer moves under the window. It also struck me last week to completely rip out the closet. We are the type of people who end up shoving dirty boots and shoes in the bottom and gloves and hats up top. 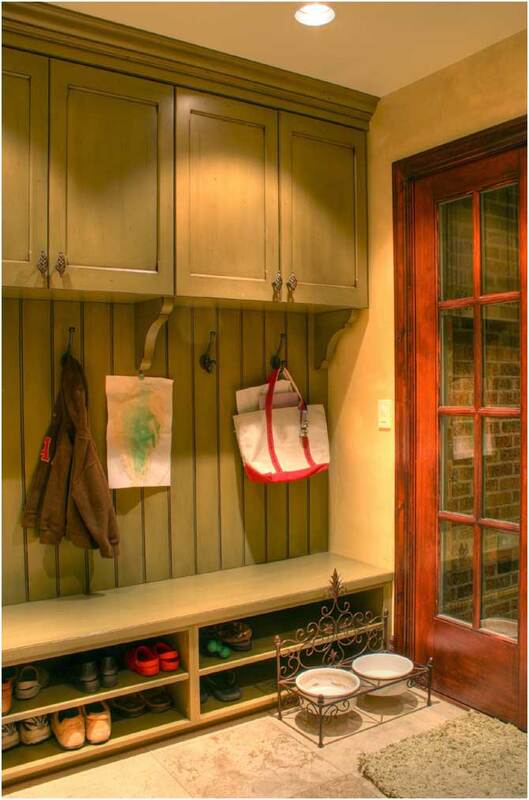 Our coats are really the only thing that stay organized so I would prefer to do a bench with a wall of hooks behind. I think this will be easier to manage since it is so visible, plus it will be nice to have some seating. 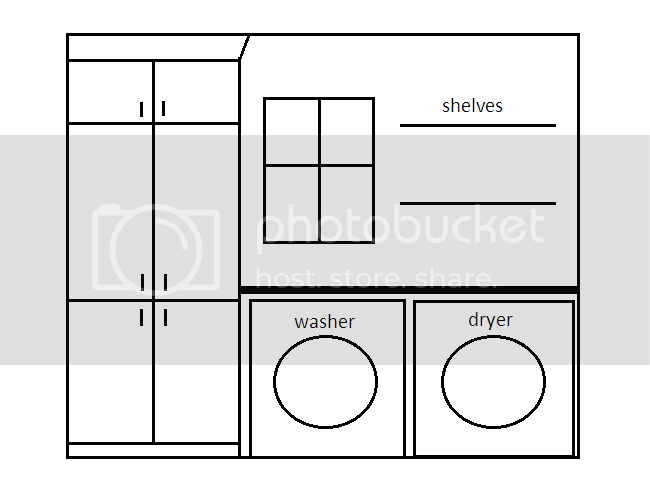 The proposed stack of cabinets also gives us the luxury of doing a solid counter top over the washer and dryer for folding. With open shelving as well we really end up getting much more functionality out of the same amount of space. Because I am sooooo enthralled with the idea of a bench and overhead hooks and perhaps even built-ins, I have been keeping tabs on some eye candy for inspiration.